Are you in need of a 10 x 5 shed? We have an extensive range of garden sheds sized 10 by 5 in a range of styles and designs, whether it be a pent, apex or potting shed. Our best selling design, the Kent Apex Shed, is also available in 10x5, ideal if you’re looking for maximum versatility and functionality. On the other hand, our Pluckey Garden Shed is quaint in style, featuring a door window, perfect if you want to allow natural light to sweep through. 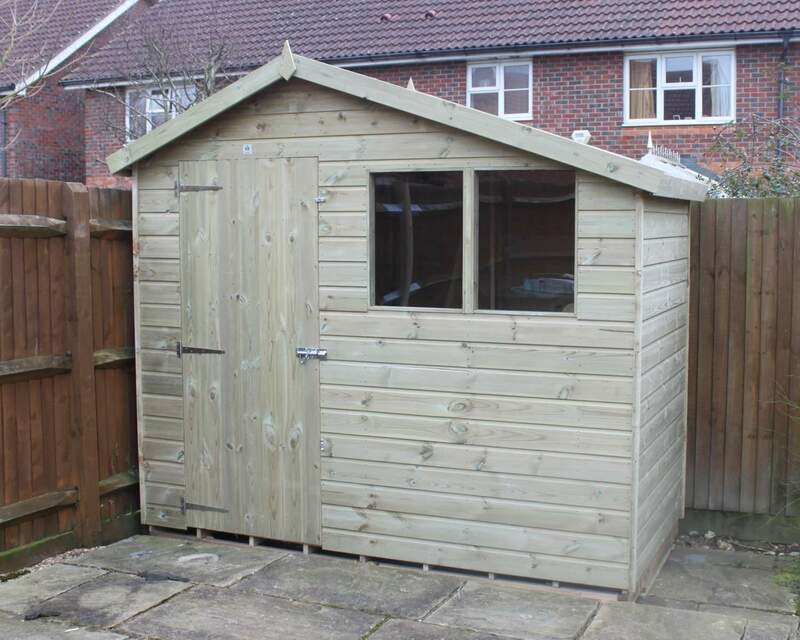 If you’re interested in a 10x5 garden shed, please explore our range below. Our standard range of 10 x 5 garden sheds are all 100% pressure-treated, complete with a tongue & groove roof and floor, and feature galvanised hinges, diagonal supports and high-quality green mineral felt for added protection. Rest assured, you’ll have peace of mind knowing your garden shed has been expertly manufactured and is well-equipped to withstand the elements of British weather. 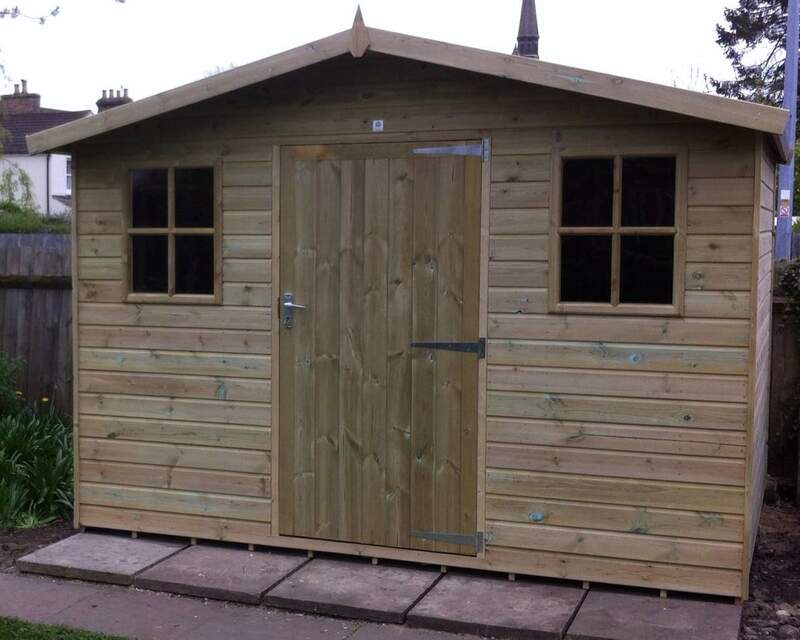 Our range of 10 by 5 wooden sheds have been specially handcrafted by us in our workshops based in Ashford, Kent. 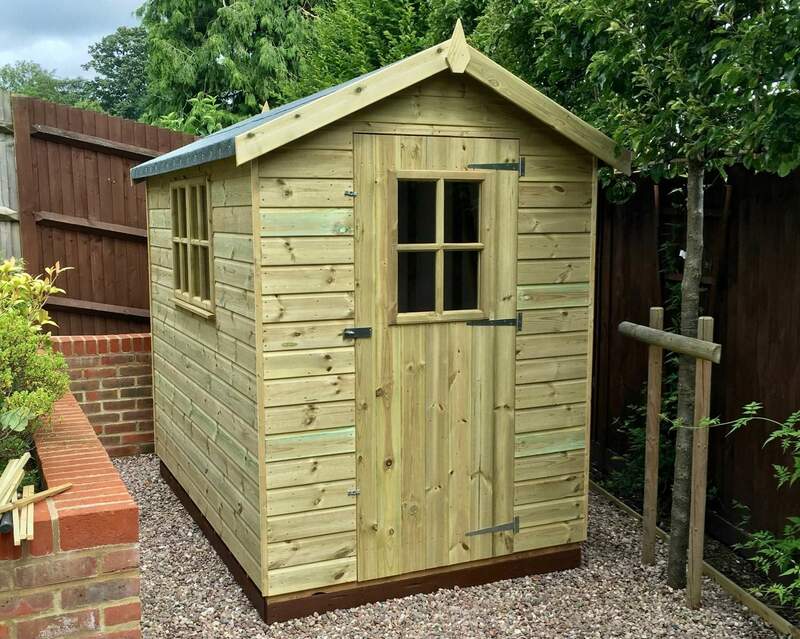 We offer a fully customisable service online, in-store or over the phone, allowing you to customise many aspects of your garden shed, including cladding, felt and framing. 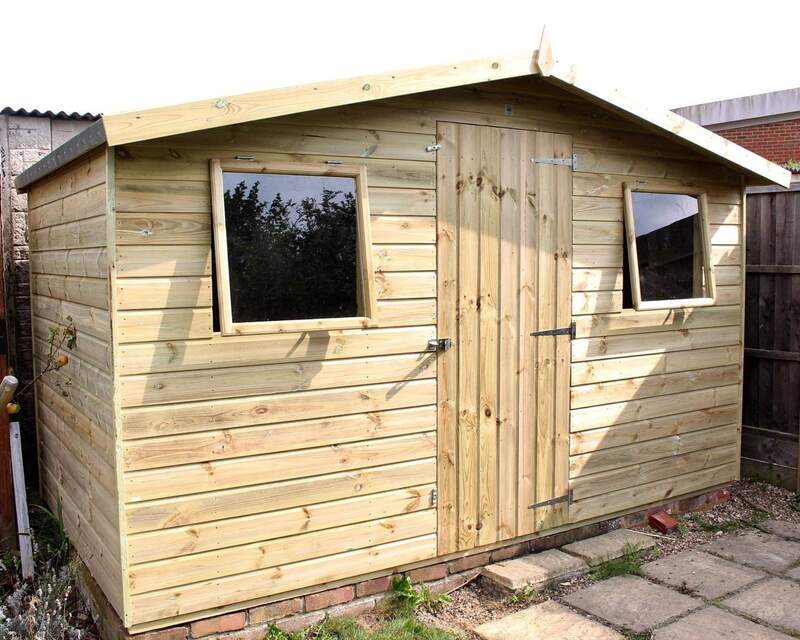 Simply design your dream 10 x 5 shed, and we’ll handcraft it for you in our workshops. We understand that one shed doesn’t fit all, so if you’re unable to find the shed you’re looking for from our range, please feel free to get in touch with your requirements and ideas, and we can make your shed from scratch. A 10 x 5 garden shed offers a plethora of space for a multitude of purposes, whether it be a storage solution, quiet haven, adventure playhouse or cinema room - maximise the functionality of your timber shed. What’s even better, we offer a range of security features and optional extras to ensure you get the most of your garden shed. So if you’re thinking about creating a garden office, rest assured your belongings will be safe with one of our industrial locks. Customers in Kent and surrounding areas can benefit from free delivery and installation. To check whether you qualify, please visit our delivery page or find out the cost of delivery in your area. It typically takes 6 to 8 weeks to manufacture your dream garden shed from the point of ordering, including the manufacturing, delivery and installation of your new shed. If you would like more information about our products or services, please do not hesitate to get in touch online or contact us on 01233 822042. If you would like some shed inspiration please check out our customer gallery or visit us at our showroom to see our garden sheds in action.